Surviving Compton: Dre, Suge & Michel’le will premiere Saturday on Lifetime, but if superproducer Dr. Dre has anything to do with it, it won’t. The billionaire and founding member of N.W.A has thrown down the gauntlet against Sony Pictures, saying that if the biopic on singer Michel’le airs showing him abusing her, he will sue. TMZ reports that Dre’s legal team fired off a cease and desist letter against the entertainment conglomerate in which he flatly denies ever abusing Michel’le. TMZ says that the letter refers to the fact that the two dated nearly 30 years ago and that Michel’le never spoke about the alleged abuse until a 2013 reunion for R&B Divas, when she said that the producer broke her nose. 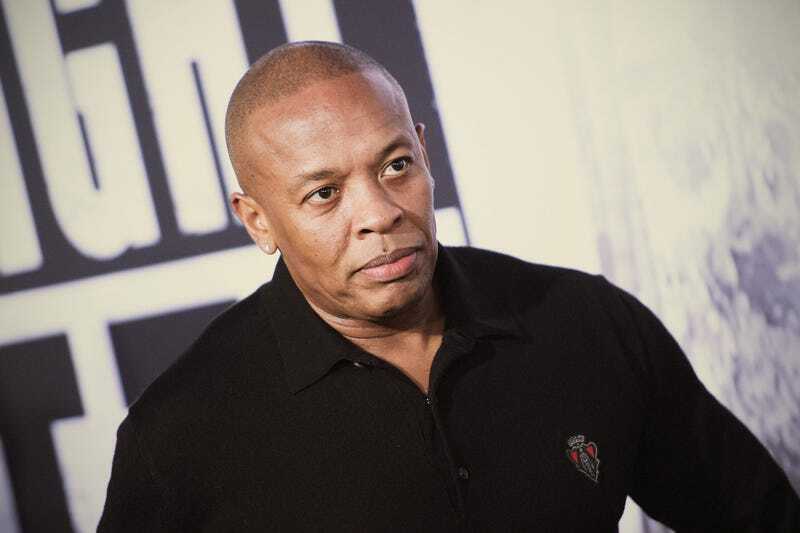 Dr. Dre also notes that the singer never sought medical treatment or filed a police report. According to a recent recent interview with Huffington Post’s Black Voices, though, Michel’le, the first singer signed to Eazy E’s Ruthless Records, clearly states that Dre was violent toward her for many years. The name of the film references the fact that the singer of hits such as “Nicety” and “Something in My Heart” has a son with Dr. Dre and a daughter with Death Row Records founder Suge Knight. What can't be denied is that many more will now tune in thanks to Dr. Dre.